Halloween is sneaking up faster than a ghost in a haunted house. Get your shop ready in a quick and creative way with our newest line of custom coffee sleeves. Every sleeve in the sequence is designed to turn your early morning, pre-coffee frown, into a ghoulish grin. 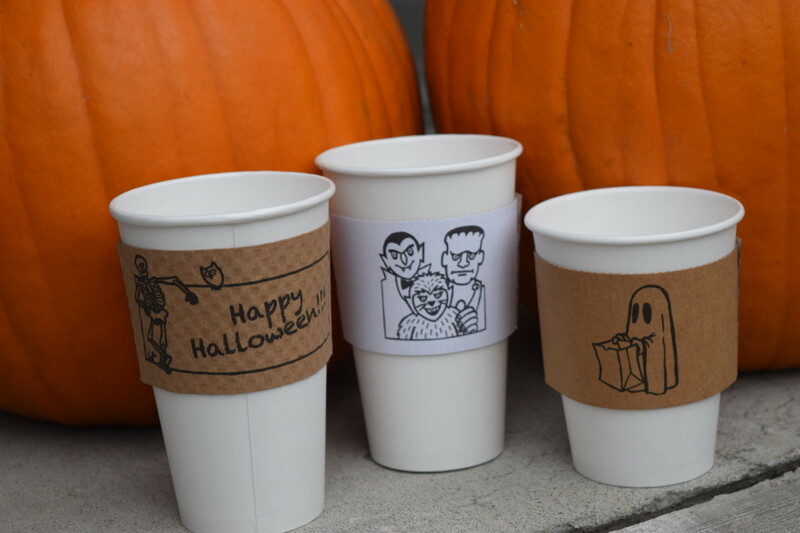 Just slip on the coffee sleeve and suddenly transform into a werewolf, witch, or goblin. Our patented sleeve design allows you to maintain your branding on one side of the sleeve while adorning the other with a rotating spooky design. 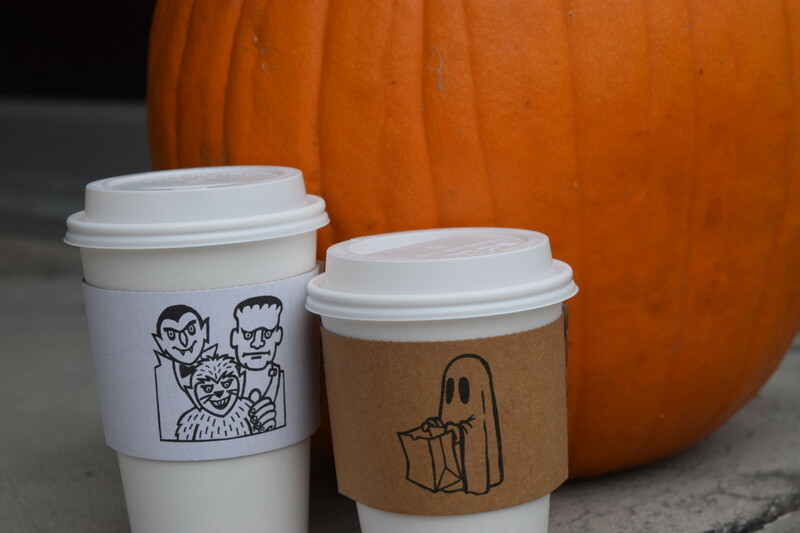 Not only will these conversation starters guarantee your shop will be the talk of the town, customers will love taking pictures of themselves and others getting in the spirit of Halloween and posting them on various social media platforms. This free and engaging promotion will bring in handfuls of new customers and make your shop a destination for the perfect fall beverage. So what are you waiting for? Place your order today and we’ll have it shipped and ready before the leaves start changing color. With fast turnarounds on all of our orders, your ideas can move on to your sleeves and into the hands of your customers in just 7 business days. For more information on our products, printing capabilities and promotions be sure to visit sleeveamessage.com or call us at 1-877-SLEEVE-6.